The Dorking excels as a quality meat producer. Chicken connoisseurs of the past often requested Dorking for their meal. Dorkings have a tender, fine-textured, flavorful white meat. By today’s standards they mature slowly, but most agree justify the wait. Tolerable egg layers, they produce 140 eggs a year with maximum outlay during spring and summer. Dorkings have the unique distinction of existing as one of a few fowl with red earlobes that lays white eggs. Most red ear lobe chickens lay brown eggs. 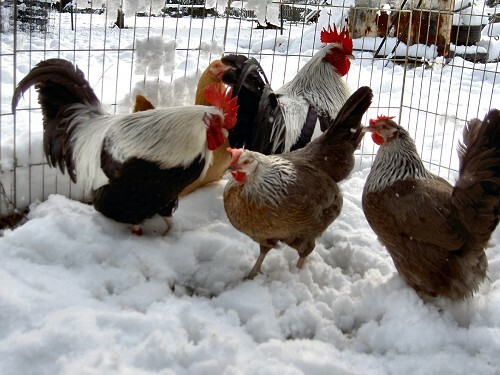 A hardy breed, the Dorking tolerates cold and will work well in the northern latitudes. Dorkings have an exceptional often irritating brooding instinct. They like to sit on eggs. Entire flocks have gone on strike preferring to sit on eggs rather than lay them. Of course, their broodiness also translates into good mothering dispositions. Dorkings have a calm and docile temperament. A forgiving nature makes them adaptable to differing living situations. The quiet Dorking fits well in suburban settings. Owners classify them as shy and gentle creatures that handle confinement with ease while still enjoying a romp in the run. 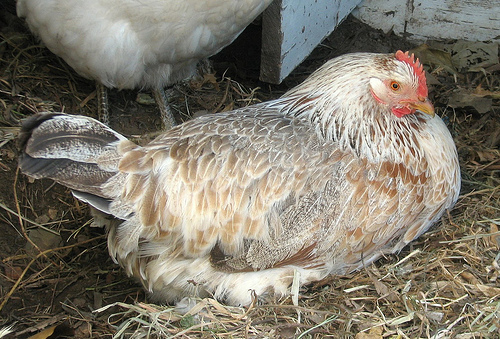 The Dorking has a couple unique features that distinguish them from most other chicken breeds. One, they have five toes rather than the common four toes of most chickens. The fifth toe grows on the back of the foot and slopes upward. Two, Dorkings often sport a huge, six-pointed single comb; although, some variations have a rose comb. The American Poultry Association recognizes five standard plumages for Dorkings: Silver Grey, Dark Red, Cuckoo, and White. Most Dorking ranchers own Silver Grey. 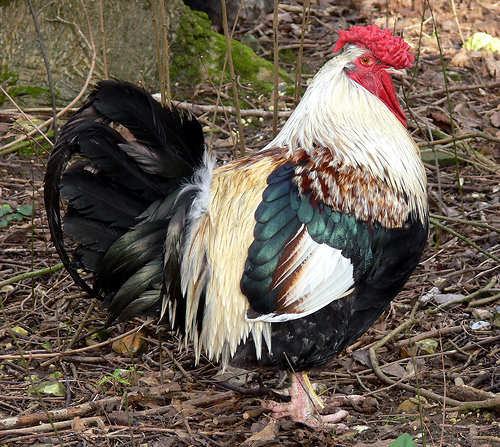 All colors of the Dorking have striking red eyes, large combs and wattles, medium earlobes, and white legs. The large comb of a Dorking makes them susceptible to frostbite. Some raisers dock the combs. Provide them warm shelter in northern latitudes during the colder months. An active breed, give your Dorkings spacious room to roam and forage. Owners report that Dorkings grow increasingly “weedy” if overly cooped or cramped. A weedy fowl refers to a sinewy bird which defeats the primarily purpose of owning a Dorking. Provide Dorking ample nesting spots to accommodate their broodiness. Dorkings grow into a large fowl but mature slowly and need food ad libitum. Restricted diets will permanently stunt their growth. Some bred historians trace the origins of the Dorking back to the ancient Roman Empire. However, Coumella, a Roman agricultural historian, reports that Julius Caesar encountered Dorkings during the Roman conquest of Italy in 54 BC. He brought them back to England. The original Red Dorking, bred in large numbers, now ranks as the rarest of the breed. The breed entered the official poultry world in 1874 with its inclusion into the Standards of Perfection book. Oddly, the original Red Dorkin gained final approval late in 1995. The American Livestock Breeds Conservancy categorizes the Dorking as “threatened.” Fewer than a 1000 breeding birds live in the US.